While seaweed is commonly added to salads and soups, I had a hard time getting my 10 year old to eat them in their “rubbery” raw state. 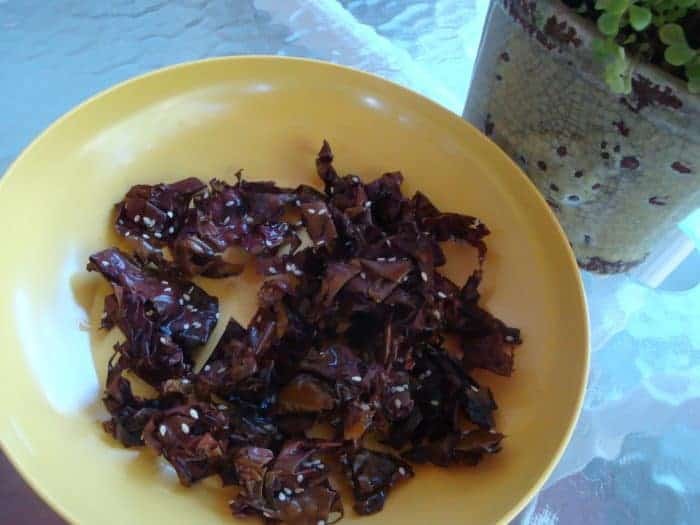 So, I started making Dulse Chips. They disappear every time and I get regular requests for them! Quick and easy to make, a great starter to any cuisine. Heat oil over medium heat in a large skillet. Add dulse to pan. If there are any large pieces, you can pull them apart first. Heat for a minute or two, until the dulse turns golden brownish and shrinks. Toss to turn with spatula and heat for another three or four minutes. Do not let it turn black. But you definitely want the golden color to appear. Drain on paper towels and immediately sprinkle with some sesame seeds and/or salt, if desired. I do add a tiny dash of salt, even though seaweed has a salty flavor. Just a dash wakes it up just enough. 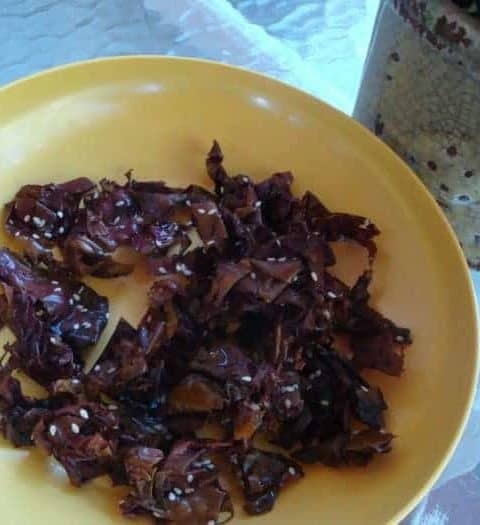 Do you start with dried seaweed for this recipe? Or do you soak first? Or are you buying non-dried seaweed? And have you tried it with other oils (like olive or walnut), or with wakame rather than dulse? Hi Emily, yes I start with “low temperature dried Dulse”. Do not soak it. Just put it straight out of the bag into the pan heated with the oil. I pull it apart a bit because the pieces being a bit smaller are even better. Let me know what you think of the recipe. 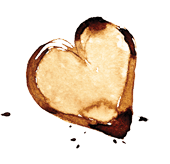 We love it and, in fact I’m making some again tonight. I get my Dulse at Whole Foods. You should also be able to find it at Asian markets. I want to try these, but where do I buy seaweed?